Get cozy with The Northwest Company’s 50-Inches-by-60-Inches Sherpa Throw. 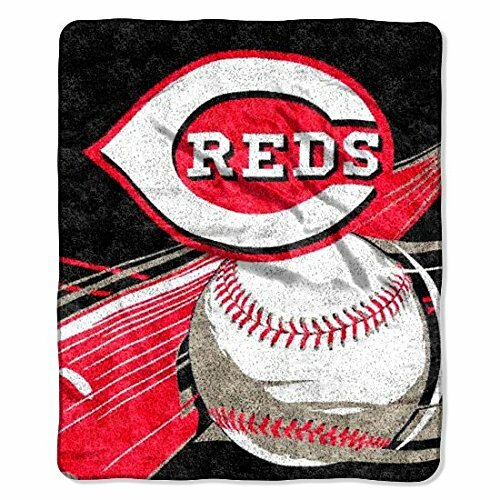 Each super soft blanket features officially team licensed designs. This super soft sherpa throw is made of 100% polyester and is perfect for snuggling under on a cool day or extra warmth and decoration on the bed.Northwest’s MLB Sherpa Throw provides you with a thick layer of softness that you can sink into and feel absolutely cozy in. In addition to the warmth and softness, the stylish design and bright colors make this throw one your new favorite. These throws measure 50″x 60″ with a decorative binding around the edges and are made of 100% Polyester.